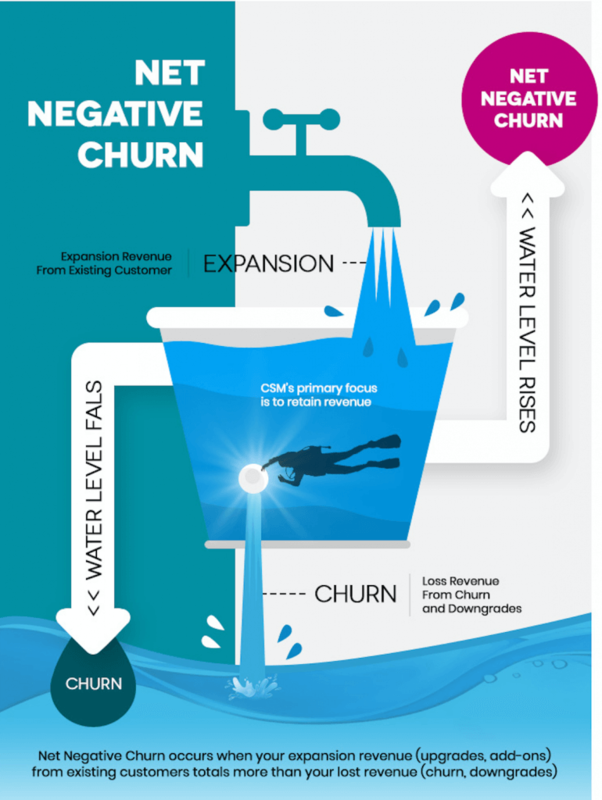 What is net negative churn and is it good for your SaaS business? To answer this question, let’s first look at the definition of churn. When building any business, customers will inevitably leave. In some cases, you will know why they left but in most, you won’t. This customer departure is known as churn. In general, if your business has a low churn rate, it means you are retaining more customers. If your business, however, has a high churn rate, it shows you are losing more customers and may be a sign of bigger endemic issues. In software-as-a-service or SaaS businesses, especially those employing a subscription recurring payments model, churn is a major metric. It determines how successful a SaaS business is and can also help identify areas to improve. So, if this is churn or the churn rate, what is net negative churn? To explain what net negative churn is, let’s look at an example: Dropbox. Dropbox offers free storage tiers and paid storage tiers. When users sign up for the free tier, Dropbox expects them to fill up the free storage and hopefully upgrade to a paid tier. Even within the paid tier, Dropbox also hopes a customer will upgrade to an even higher tier after some time. However, this does not happen always. Some users, once they exhaust the free storage quota, will close their account and move elsewhere. Others may opt to upgrade once but once they reach the next limit, may also opt to close their account. In both cases, Dropbox will experience customer and revenue churn (more on this is a bit). As a SaaS business owner, which is more important: revenue churn or customer churn? Let’s look at both. Customer churn, also known as logo churn, customer attrition, customer defection, or customer turnover is where paying customers cancel their subscriptions. In such a case, a customer does not downgrade to a free or lower tier but instead closes their account. Customer churn may be caused by a poor onboarding process, poor customer experience, changes in services, increase in pricing, and others. Revenue churn, a more important metric to a company’s bottom line, is where revenue changes occur as a result of a broad set of circumstances. Some factors that may affect revenue churn are increased customer acquisition costs, cancellations, increased competition, downgrades and so on. When looking at net negative churn, you need to consider customer churn as a function of revenue churn. That is, if customers leaving results in revenue churn, then factor customer churn into your net negative churn calculations. However, if you mostly have free users (freemium model), then your net negative churn calculation should accommodate this as well. So far, we have seen that net negative churn is good for your SaaS company as it helps you weather the loss of customers and revenue. 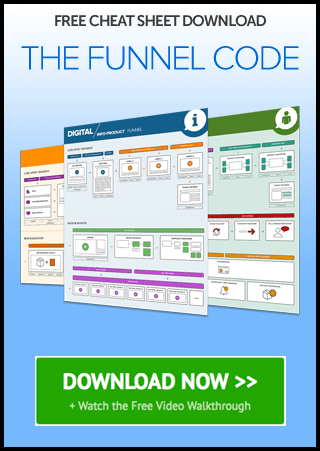 The question is, how do you engineer net negative churn into your SaaS business? How do you make it predictable? The answer lies in expansion revenue. Expansion Revenue is any additional revenue you get from existing customers without the need to incur additional costs. Using the Dropbox example, whenever an existing user upgrades to a higher subscription, this is counted as expansion revenue. In most cases, this expansion revenue comes at no cost to Dropbox. By creating a tiered hierarchy of services, Dropbox has engineered net negative churn into its offering. As existing customers upgrade, this additional revenue offsets lost revenue from customers who downgrade or close their accounts. The result is a net negative churn. How can you, also, build net negative churn into your SaaS? Upselling is the most obvious way to increase net negative churn in your SaaS business. If you have a subscription model, offering more value for a higher rate is the best way to upsell. Services like Hulu and Netflix offer tiered pricing to entice customers to upgrade. To do this, you’ll need a reputable payments integrator to help you create and implement tiered pricing for your service. In some cases, you may also need to implement upselling marketing techniques that help convince your customers to upgrade and pay more. Cross-selling involves selling products or services that complement your core offering. For example, if you sell an email service, you can choose to sell plugins or add-ons as a cross-sell. In this way, you can gain more revenue from existing customers by offering them more utility. One example of this is WordPress themes. When you buy a theme, the same company that sold you the theme may market plugins that can help you achieve more with the theme. By doing this, such companies can create net negative churn. This is a popular model in the SaaS industry. By charging a fee per seat, a SaaS company creates a scenario where any additional users attached to a paying customer result in more revenue. For example, G Suite charges $6 per user within a G Suite organization (customer). When you hire a new employee, you’ll purchase another seat. This revenue expansion comes at no extra (marketing) cost to Google. Because of the natural expansion of teams, using a per-seat billing model almost guarantees revenue expansion. Like upselling, resource expansion is where you charge users more to use more resources. When you sign up to AWS, you are offered free cloud computing resources up to a certain level. Once you cross this threshold, you need to start paying. AWS knows that as apps and businesses grow, they tend to consume more computing resources. By letting you in at the door for free, AWS allows you to test-drive the service and once locked in, grow with the service. 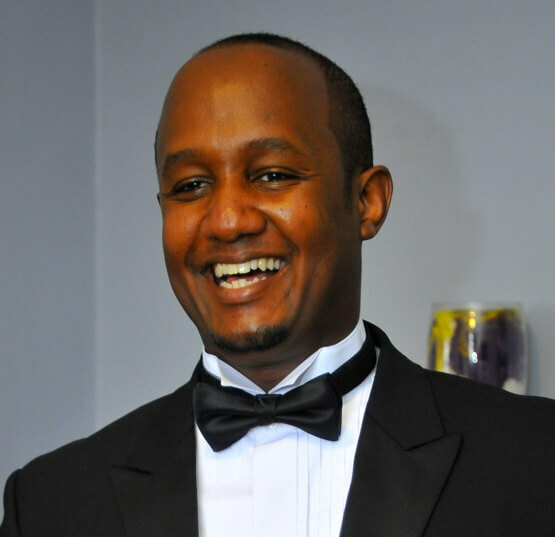 This type of revenue expansion works exceptionally well because it is entirely reliant on the customer’s needs. There are several things you need in place to achieve net negative churn. The most important is a solid payments platform that offers a wide array of integrations and features. 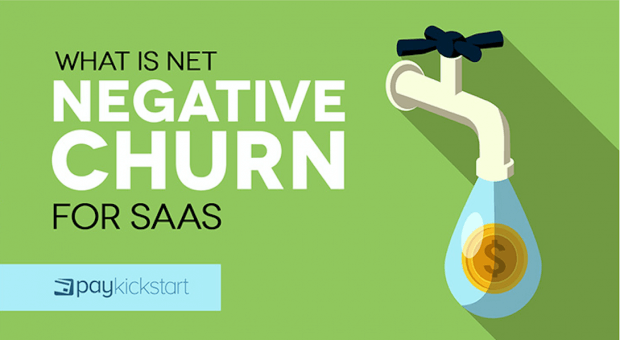 PayKickstart helps SaaS businesses achieve net negative churn by eliminating payments-related issues from the business’s workflow. Through integrations with Stripe and PayPal that offer seamless subscription payments, as well as a host of other integrations, PayKickstart has just the right tools to help you take your SaaS business to the next level. To find out more about how PayKickstart can help, send an email to support@paykickstart.com or sign up for a free trial today.